Stop by our Nissan dealership near Minnetonka, MN, to buy or lease the new 2018 Nissan Murano SUV. This Nissan SUV can come equipped with premium luxury features, intuitive safety technologies and an efficient powertrain that will have you cruising by the pump for miles and miles. Learn more about why the new Murano is the right SUV for you, then stop by Walser Nissan Wayzata to buy or lease it today! The 2018 Nissan Murano is a safe and efficient SUV that’s perfect for any occasion. The standard 3.5-liter V6 engine will keep you on the road longer with fewer interruptions as it can return up to 28 highway mpg. If you want to confidently tackle winter driving and slick roads you can select the optional All-Wheel Drive system, or if you’d like to hitch up a small trailer you can do so easily, as the new Murano can tow up to 1,500 pounds when properly equipped. Schedule a test-drive of the 2018 Nissan Murano at Walser Nissan Wayzata to become more familiar with all the premium perks that this Nissan SUV offers. If you’d like to enjoy some fresh air on a beautiful day, don’t hesitate to upgrade to the available Power Panoramic Moonroof with one-touch open/close. Plus, chilly mornings can be something to look forward to thanks to the available heated seats and a heated steering wheel. The standard Bluetooth® Hands-free Phone System is perfect for making and receiving calls while remaining completely focused on driving, and the standard Advanced Drive-Assist® Display with 7-inch color touchscreen makes accessing your favorite entertainment options a breeze. With so many different tech and comfort amenities to choose from, we’re confident that you’ll love every moment you spend in the 2018 Nissan Murano. 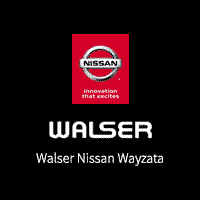 Why Buy From Walser Nissan Wayzata? Walser Nissan Wayzata is dedicated to serving Minnesota drivers with top-notch Nissan sales, service and financing. When you come to us for a test-drive we’ll make sure that your every need is met. Take your time browsing our selection of vehicles that are marked with our Upfront Pricing, and when you buy a new Nissan from us you can enjoy additional perks like a Limited Powertrain Warranty for Life. For a no-negotiation car-buying experience, stop by Walser Nissan Wayzata today!